You don’t have to wait until summer to start designing your outdoor space. 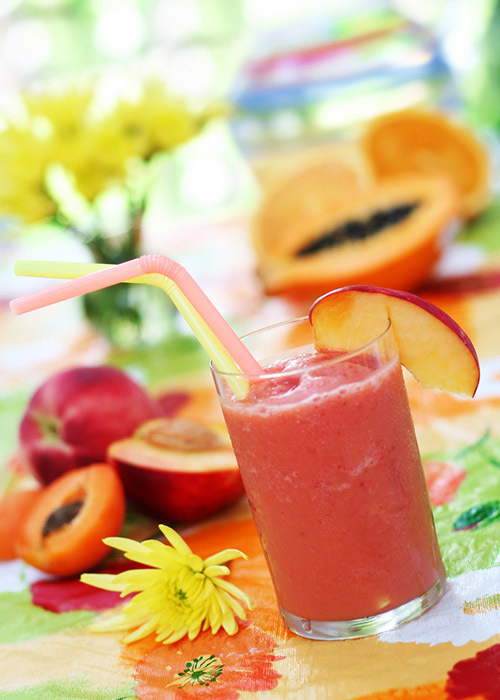 In fact, we’ve already started working on a list of projects to tackle as soon as patio weather arrives. This year, there are plenty of awesome outdoor living trends that can really help you make the most of your backyard. 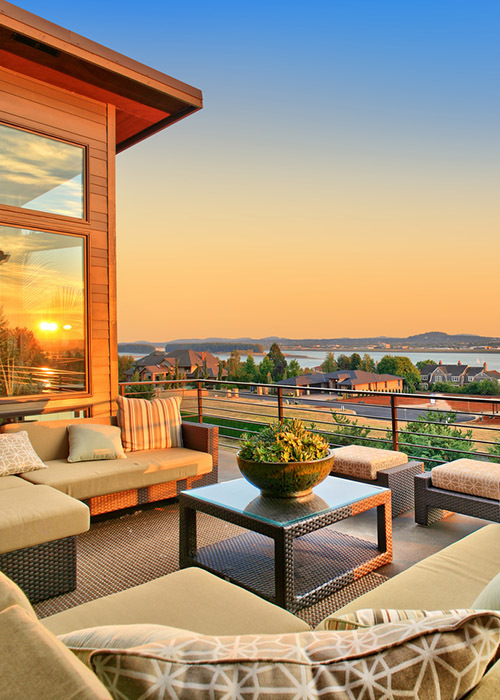 Check out 7 awesome outdoor trends for 2015. 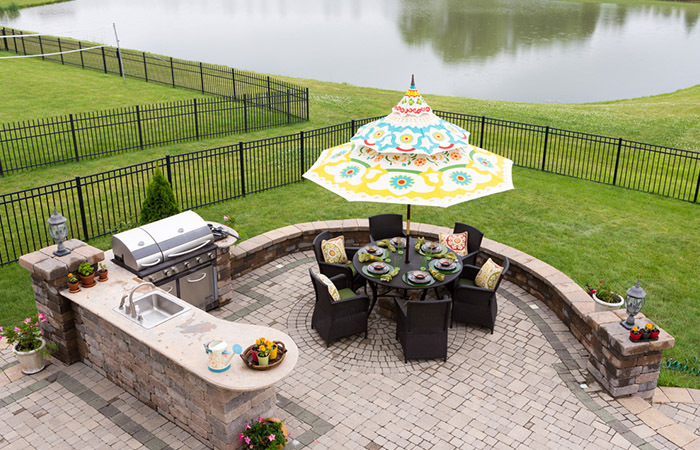 Pops of color are a must-have for your outdoor living space this year. Find inspiration from interior design trends when it comes to choosing your favorite hues. When looking for places to incorporate some new shades, the sky’s the limit! Think brightly colored flowers, pots, patio furniture, outdoor pillows and rugs. Just be sure to pick patterns and colors that compliment each other. 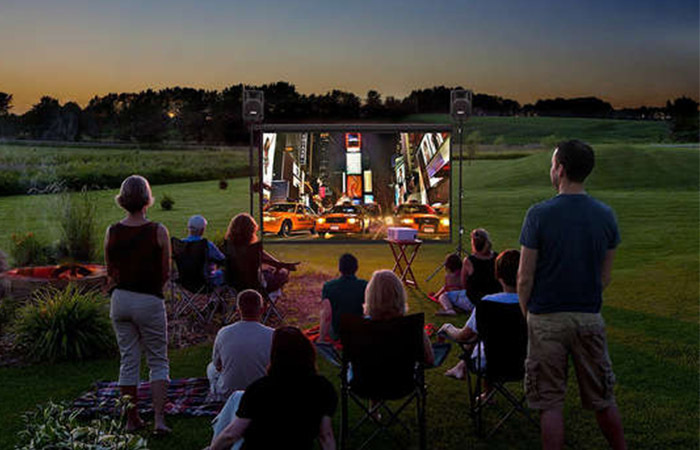 People are doing everything they can to maximize their time outdoors - and that includes hooking up entertainment systems. Whether just listening to music, or enjoying a family movie night under the stars, you’ll want to ensure your home is connected inside and out. For an entertainment system like this one, you’ll need an HD projector, and an electric-powered flat screen, speakers and more. This year is really all about extending your living space. So what better way to do it than by creating your dream kitchen outdoors? Practical and convenient for outdoor entertaining, there’s a wide range of materials and outdoor appliances available today that can rival what you’ve got in your indoor kitchen. 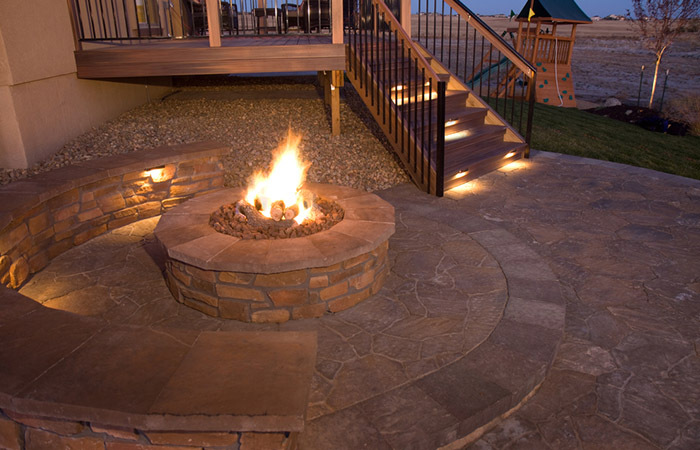 Fire features don’t just create wonderful ambiance, they can extend the life of your outdoor space. Heating up your patio so that you can spend more time outdoors, custom wood burning firepits and fireplaces are sure to be popular this year, as are natural gas fireplaces. Plus, they’re perfect for s'mores! 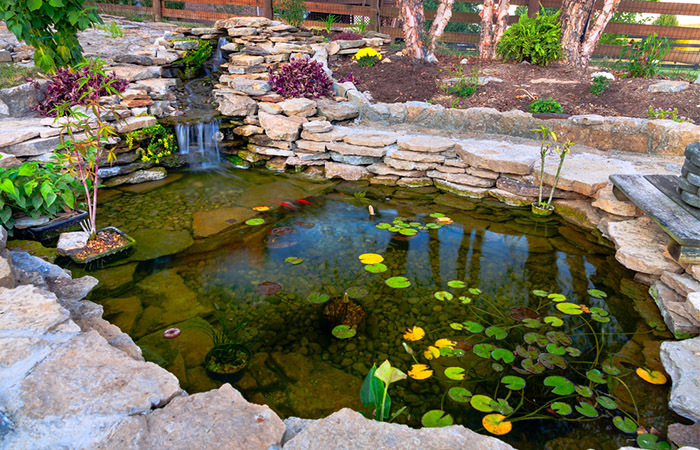 There’s something soothing about water, and this natural element continues to be popular in backyard spaces. Not only is the sound of water incredibly relaxing, it helps maintain the serenity of your outdoor oasis by blocking out sounds of traffic, or noisy neighbours. With the right amount of lighting, you can create a cosy outdoor space that can be enjoyed into the wee hours of the morning. 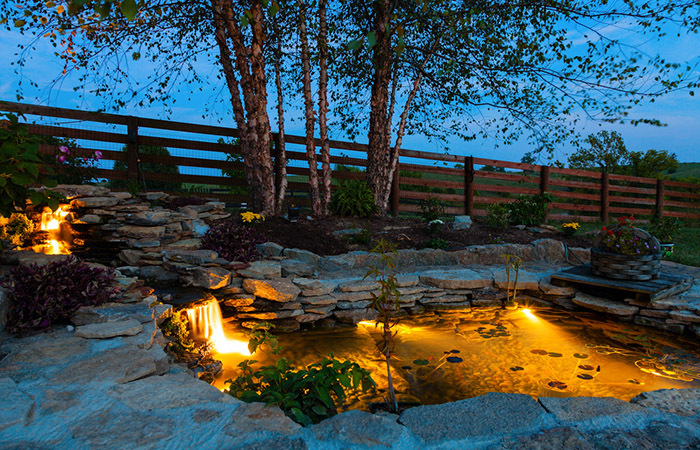 Use outdoor lighting to accentuate your backyard’s best features for a romantic balance of darkness and light. 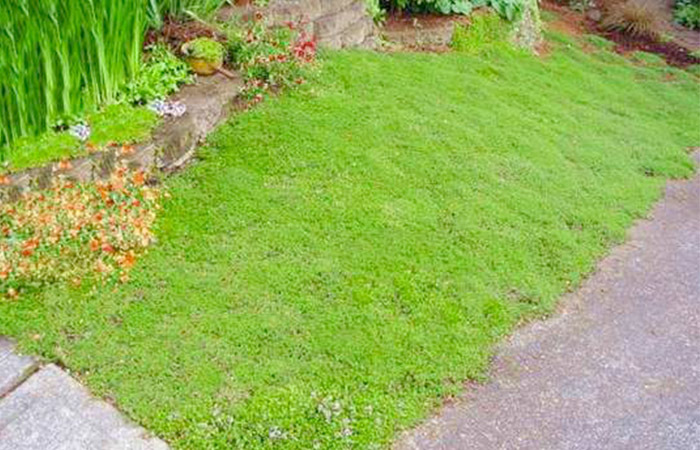 Ditching grass in favor of groundcovers is a must-do trend for outdoor living. While grass looks nice, it takes a lot of effort to maintain. Ground covers on the other hand are incredibly low maintenance, can survive in poor soil, and keep out unwanted weeds. That way you can spend more time actually enjoying the outdoors, and less time working in it.